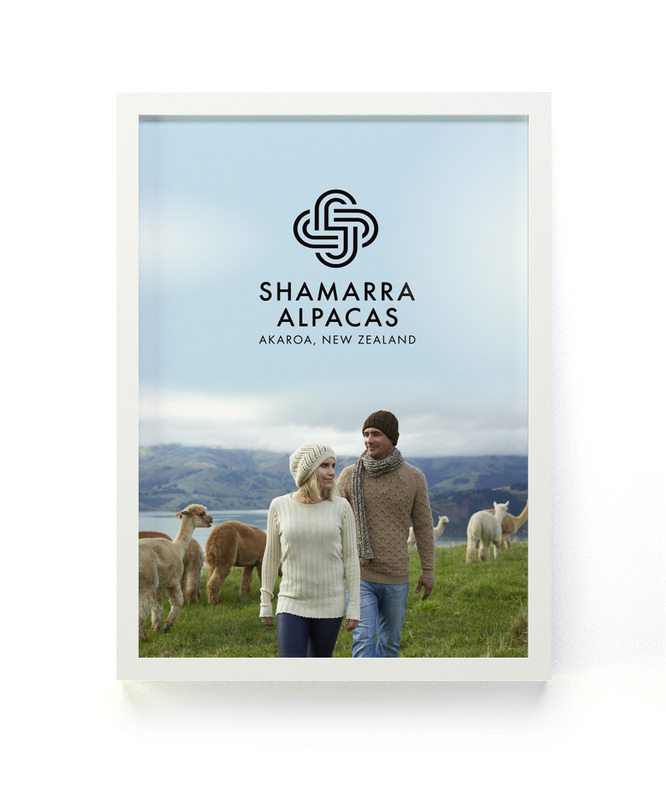 Shamarra Alpacas is a 35-hectare alpaca farm located near beautiful Akaroa in the South Island of New Zealand. Shamarra has now grown to now have the largest herd in New Zealand with around 700 Alpacas. 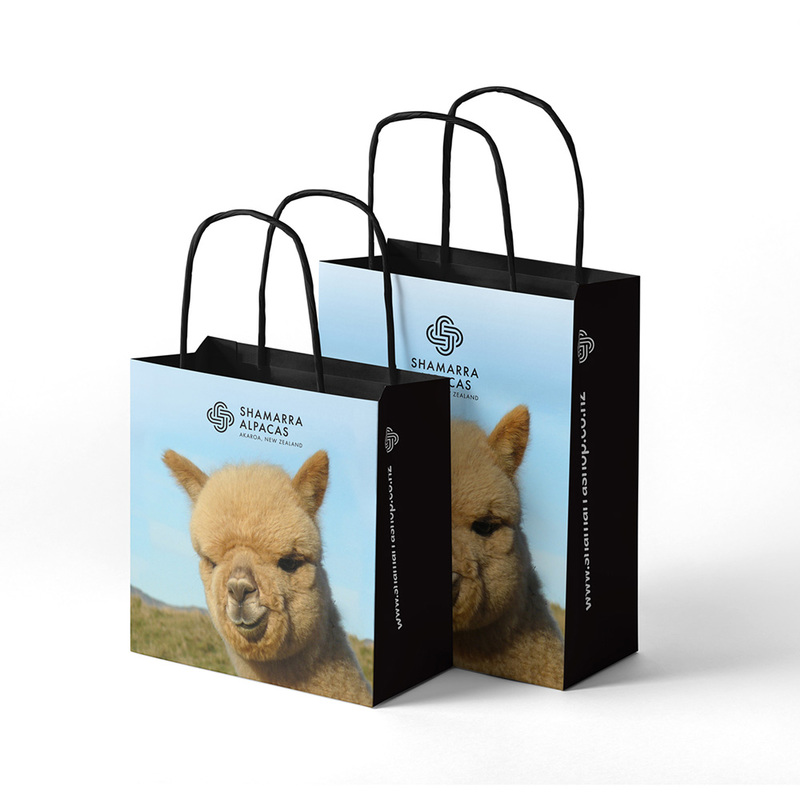 Producing some of the finest Alpaca fleece, Shamarra has a range of beautiful knitwear products that can be purchased at the farm shop or on their online store. They also offers guided farm tours which are especially popular with tourists that arrive in Akaroa harbour. Having seen some of Clockwise’s design work online, Shamarra got in touch in 2014 seeking a brand modernisation and refresh. Through the development process, we decided to stay away from the more typical and expected Alpaca animal shapes. Instead, an ‘S’ quality mark symbol was developed. A logo that embraced the natural quality and style of the Alpaca fleece and associated products. The new logo and branding is now in full use across a broad spectrum of mediums, both in print and online. 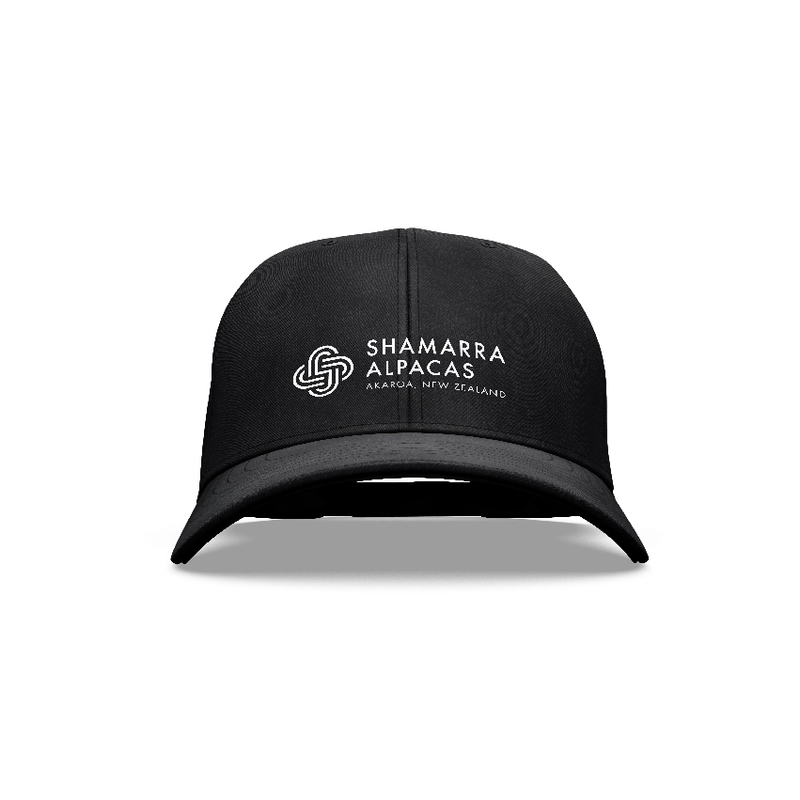 Shamarra Alpacas is undertaking some upgrading of their current point of sale and brand assets to accommodate the new black and white theme logo. Clockwise is currently working with Shamarra and we will slowly be replacing print and marketing material as required with the newly updated branding. Below are some designs that have been recently been updated. Check back soon as we will update this page to show new designs as they come hot off the press. As the farm shop has become more popular with visitors, we then looked to create an attractive yet practical hang tag and point of sale material to be applied to most of the product. 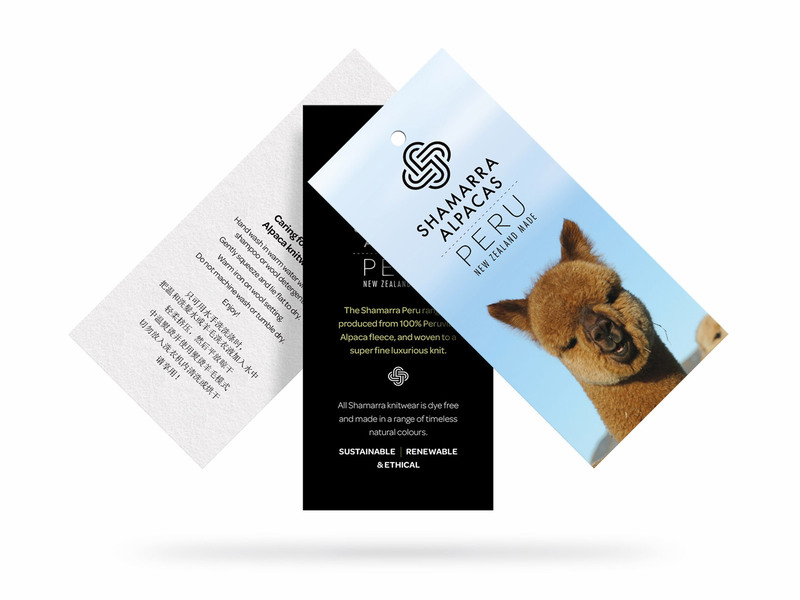 A lot of information needed to be on the hang tag, so the need for a function and simple design was necessary. Below you can see some recently designed items featuring the new updated logo design. Product for the shop, a sign for behind the main counter and retail bag designs. Many different variations of advertising are required on an on-going basis. 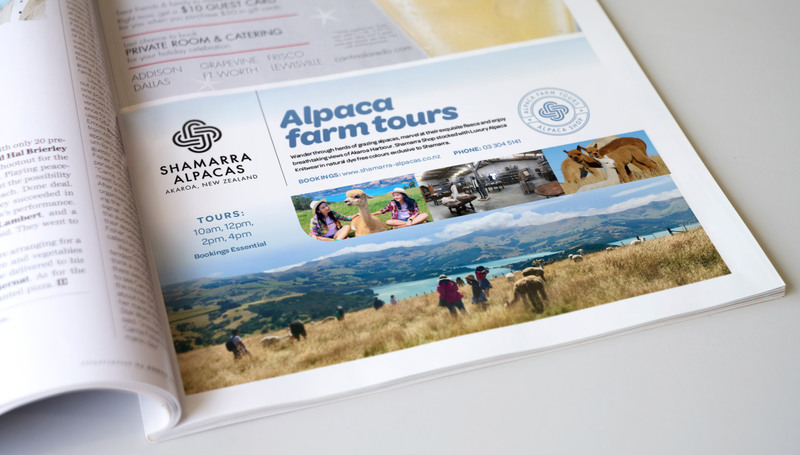 Different publications require different styles and approach, all while keeping cohesive with the brand fundamentals. This advert below was for a smaller local publication. Since the initial rollout of the new logo design, we have created a few variations of the logo as situations have arisen. A simple symbol version of the logo without the type-mark can be used in various ways. A feature ‘badge’ or ‘stamp’ style for additional use on advertising promoting the farm tours and shop, and the new ‘Peru’ version that was created for a new range of knitwear. 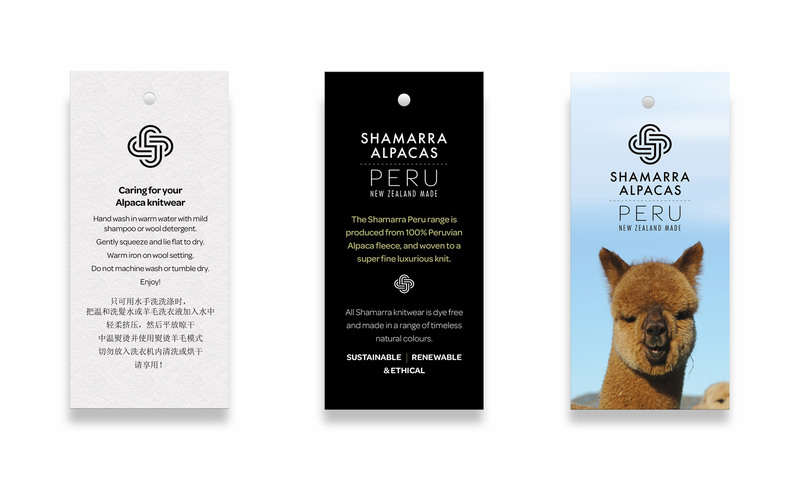 It’s been an absolute pleasure working with Shamarra Alpacas over the years. I look forward to continued projects featuring the gorgeous alpacas, their incredible knitwear products and the beautiful farm in which they are produced. Need some help with your business branding?